We all have to pay property tax. How much we pay depends on several things, including the price of your house and the state you live in. However, property tax can be confusing, so we thought we would go over some of the finer points with you today. Whenever you buy a house, you will see a little charge on your home loan documents for $75. This is for your tax service. You will pay it, probably without thinking. But most people don’t realise what it is. The tax service payment is sent to a third party company. They write a letter to your local tax office, who will then send you a letter stating you need to pay your property taxes. Why do they do this? Because, if you were to go delinquent on your property and end up with a foreclosure, the tax payment would generally come out of the property value. And that means your lender will have to pay instead. So, they make it very hard for you to skip your taxes by sending your local office the letters. You will also find that a lot of lenders include a clause in your contract. It will include a provision that states you are responsible for paying your property tax. This will be regardless of whether you default and go delinquent. 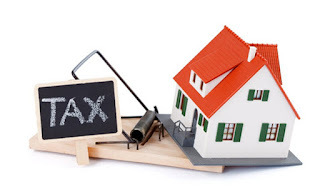 So, when it comes to paying the tax on your home, don’t be late. According to Reliance Tax Loans, you could get a charge of anything up to 44% of what you owe - which isn't the best start to your new home. This is why mortgage lenders began to charge escrow - or impound - accounts came into being. So, instead of paying a lump sum, you pay your property tax across the space of twelve months, and they pay the lump sum. Now, this might seem a little unfair to you. After all, it’s your money, and you should be able to put it where you want. But, it’s a very real problem for lenders. If you go delinquent on your property without paying tax, they get charged. That much they can probably handle. But when you multiply that over few thousand cases a year, you can see why it gets expensive. There aren’t many benefits to property tax - other than once you pay it, you won’t face extra charges! But you might find some minor benefits from escrow and impound accounts. Lenders may give you a small sliver of interest on the total amount of your tax. And, in some states where impounds aren’t allowed, you may even get a discount on your loan. It won’t be much, but it all counts. Paying your property tax in this way is also convenient - it just comes out of your mortgage payment, and you don’t even notice. There’s no chance of you forgetting to pay, and you will avoid the enormous cloud of foreclosure hanging over you. Well, I hope that has helped you understand property taxes a little better. Nobody likes paying them, of course. But, using the escrow system will make your payments more manageable, and stop you forgetting about it. Contact your lender for more details.